Aged dough. Homemade sauce. Eclectic, fresh toppings. 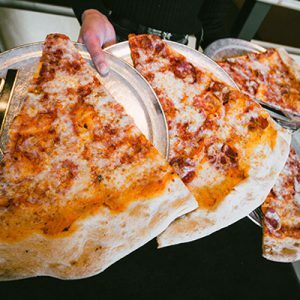 Creating superior slices is our calling, so we top ’em fresh and cook to order, assuring you always get the taste you’re craving. 15 beers on tap. Even more bottled beers. 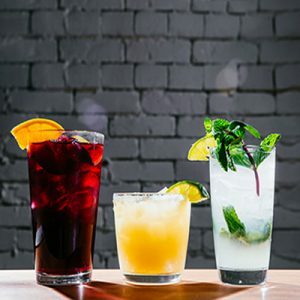 Scratch-made cocktails. Oh, and fancy wine, too. Just like with our pizzas, we reject the notion that less is more. A big selection of drinks is always better. Our pizzas are too damn fresh to sit in your passenger seat on the way back home (and they’re likely too big to fit in your car). 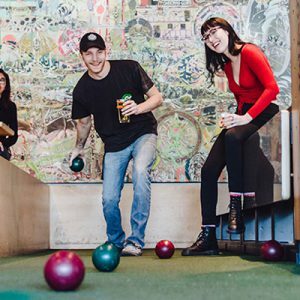 Come in, order a slice and brew, and play bocce on one of our two new courts. © Lazy Moon. All Rights Reserved.